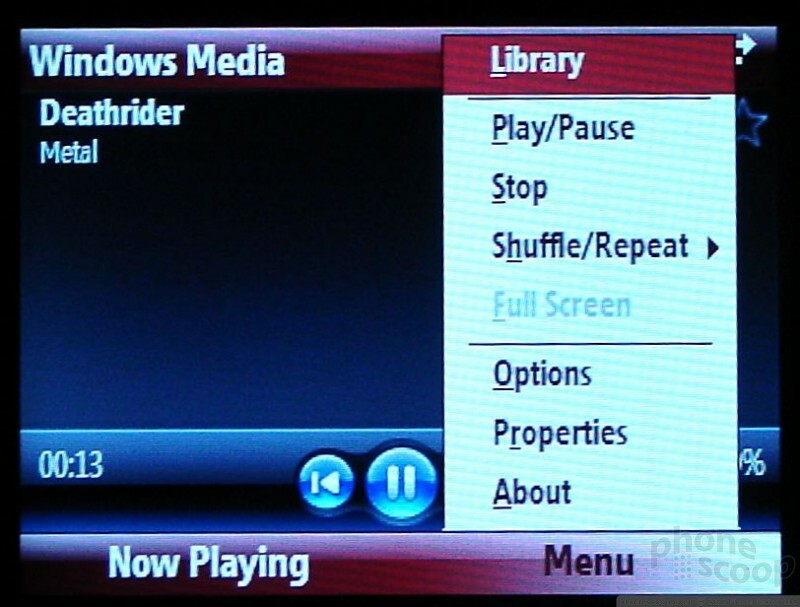 The Q9M comes loaded with Windows Media Player 10.3. It is a very capable player. You can launch it either from the Today screen, the Start menu or the Verizon Wireless media menu. 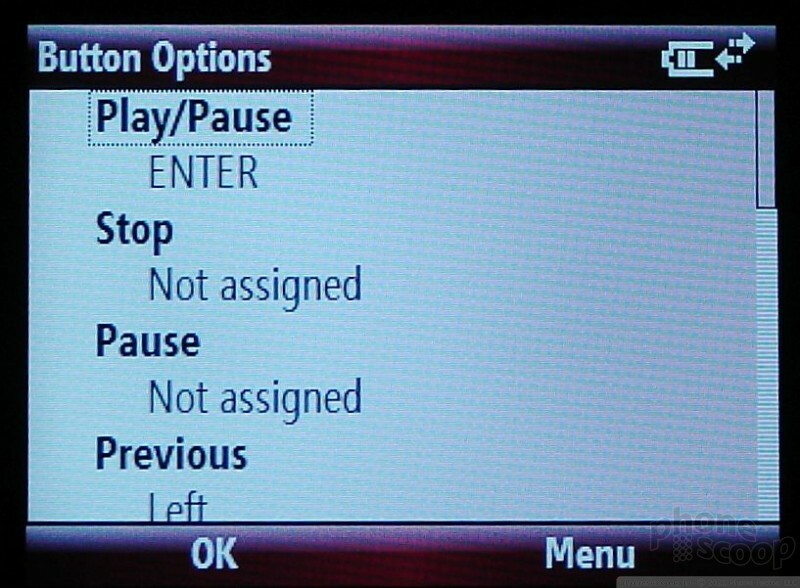 From the Verizon media menu, the WMP action items are on the left side of the wheel. They are, from top to bottom, skip back a track, play/pause, skip forward a track, WMP Menu, and full screen toggle. If you scroll down to the WMP menu icon and select it, the box in the center of the wheel will show you your basic WMP menu selections, such as Now Playing, Music, Videos, etc. Any media you play will show up in the box in the center. This would be album art for music, or video content, such as those shot with the phone. If you want to watch video content on the full screen, simply hit the toggle button and it will automatically expand. 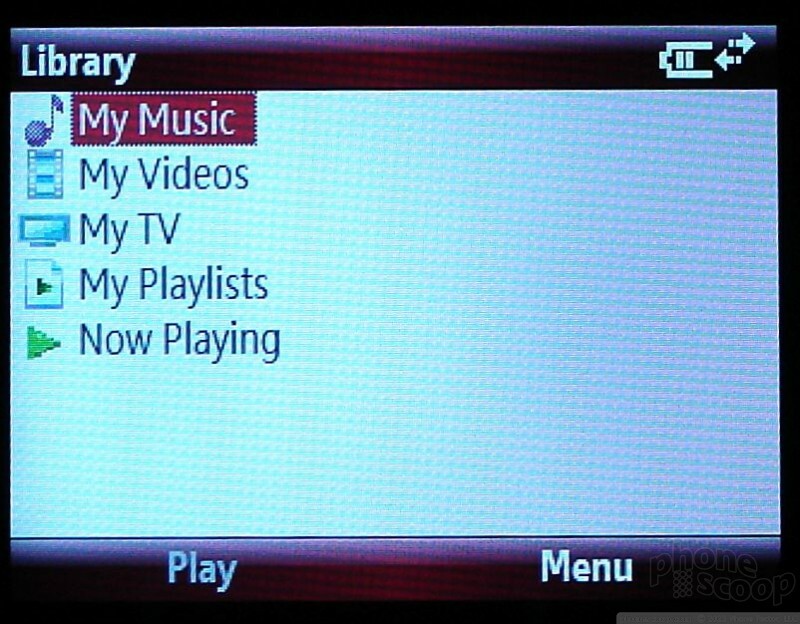 Navigating your music library is just as easy from the Verizon media menu as it is through the regular Windows Mobile menus. Music and video libraries can be sorted by genre, album and artist. In order to add content to your library, it has to be manually updated. You can add media via a microSD card, or side load it from a PC. Once you've loaded in onto the device using one of those two methods, use the menu selection to update the library, which will pull the songs you've loaded and make them available to be played. The Q9M played both MP3 and WMA files without issue. The player interface lets you simply rewind, play/pause or fast forward. There are no equaliizer presets to use, nor are there any other ways to adjust the sound aside from making it quieter or louder via the volume controls. Music pauses when a call comes in and resumes once the call is complete. It will also play in the background when you are doing other tasks, though you can set it to stop if you leave the WMP program. You can also customize keyboard shortcuts, assigning keys to stop, play/pause and so on. If you dig into the Accessories folder, however, you will find a menu item called "Audio Enhancements". In this menu, you can adjust some bass, treble and stereo controls for headsets you've paired with the Q9M, as well as the stereo speakers. 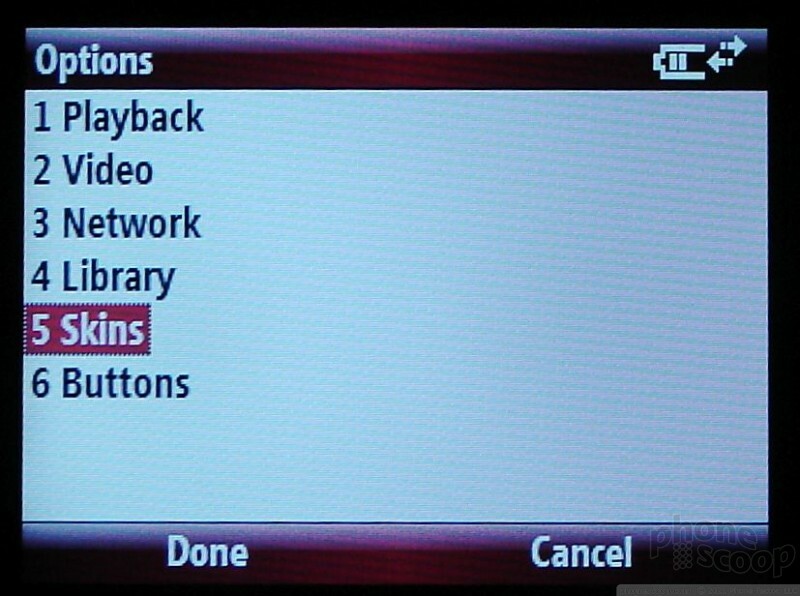 The Verizon Media menu also includes a shortcut to the V CAST Music store. Hitting it will launch the music store, where you can browse or search for music and make purchases. Songs that are downloaded automatically add themselves to your library. The WMP interface is a little too simple and we wish it gave us more options to manage and control our music, but for a basic player, it gets the job done. Since the Q9M has a 2.5mm headphone jack, you can't use regular headphones with it. You'll either have to buy an adapter, or use stereo Bluetooth headphones. Music sounded good through both, but it didn't knock our socks off. Motorola today provided details about a handful of new modular attachments for the Moto Z2 Play and other Moto Mod-compatible handsets. The Moto GamePad snaps onto the back of Moto's phones and provides dual control sticks, a d-pad, and four action buttons. Verizon Wireless today began accepting preorders for the Motorola Moto Z Droid and Moto Z Force Droid, which will reach stores on July 28. The Moto Z costs $624 ($26 per month) and the Z Force costs $720 ($30 per month).